Dimensions 0.75 by 6.75 by 8.75 in. Amazon.com description: Product Description: For courses in Comparative Criminal Justice Systems, Comparative Criminology, and Comparative Government. 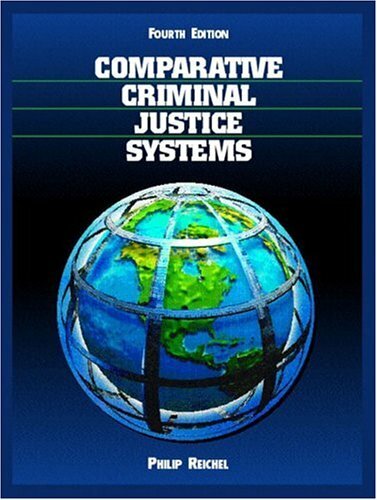 Unique in its topical approach, this best-selling text examines systems of law, police, courts, and corrections by using more than 30 different countries to show the various ways policing, adjudication, and corrections systems can be organized and operated. The book's topical approach allows instructors to cover the material in a familiar format (law, police, courts and corrections) and helps students understand the variety of criminal justice systems found in the world today.